States could theoretically game the complex design of the Affordable Care Act (ACA) to get the federal government to pay for free, state-run health insurance for basically everyone in their state making less than 400 percent of the FPL (just under $100,000 for a family of four). Ironically, such a scheme is only possible because of efforts by conservative Democrats to make the ACA friendlier for private insurers and thanks to President Donald Trump’s bungled attempt to sabotage the ACA by ending payment of the cost-sharing reductions (CSR). The complex way the advance premium tax credits are calculated under the Affordable Care Act has created several bizarre incentives and outcomes. One of the most glaring is that an individual making below 400 percent of the federal poverty level (FPL) ends up paying more for insurance if their state has a competitive exchange market and much less if they have a “dysfunctional” exchange with only one insurer. While this dynamic existed before, it has been made worse by Trump’s ending of the CSR, which caused total subsidies to increase. The result is that in many red states with badly functioning exchanges, individuals qualify for free bronze insurance plans. Create a new government-run health insurance company to sell insurance on their state ACA exchange. There is nothing the federal government could do to stop this. It is long established in our legal tradition that state and local governments can create and operate government-run companies. Los Angeles County already has a county government-run insurance company (LA Care) that sells insurance plans on the California exchange. Require that all insurance be sold at pure community rating, one price for all ages. Vermont and New York State already have this requirement. Under the ACA, insurance companies can set premiums for older people three times higher than for younger people, which was done to encourage young people to buy insurance. Yet due to the design of the ACA subsidies, this has paradoxically resulted in younger people who qualify for subsidies actually needing to pay more to get insurance than older people, undermining the entire point of this rule. This disparity needs to be removed to make sure everyone gets free insurance. Drive all private insurance off the state exchange, leaving its public insurance company as a monopoly. The McCarran–Ferguson Act leaves regulation of individual and small group markets primarily up to states, and the ACA maintained this legal dynamic. That means there are several ways states could try to achieve this goal. A) The state could give its public insurance company such an overwhelming market advantage with negotiating provider rates that after a few years all other insurance companies are out of the ACA exchange business. The dynamics of the ACA have already resulted in large parts of the country with only one insurer, so it is easy to see how a public insurer with a special advantage could quickly gain a monopoly via market forces. B) The state could adopt new insurance taxes and regulations on network size, CEO compensation, MLR, transparency, etc… so that no private insurer would want to operate in the state. C) According to the ACA, for an insurer to sell on an exchange it needs to be “licensed and in good standing” in the state, so the state could refuse to license any private insurer or create rules such that no insurer would be considered in good standing. D) The state could choose to have an “active purchaser” exchange and simply refuse to allow any plan but the public insurance plan on their exchange. California’s active purchaser exchange rejected roughly half the private insurers that wanted to be on it originally. Have the public insurance company create just one Bronze plan, one Gold plan, one normal Silver plan, and one super-expensive Silver plan to sell on the exchange. The ACA subsidies are calculated based on the second-lowest cost Silver plan (SLCSP). Now that the public insurance company is guaranteed to have the SLCSP, the goal is to make it as expensive as possible to maximize the size of the federal subsidies. A few federal requirements likely limit the premium amount a state could charge for the “super-expensive Silver,” but based on current prices from some monopoly insurers we know it is clearly possible to make the SLCSP $200-400 more a month than the cheapest Silver. 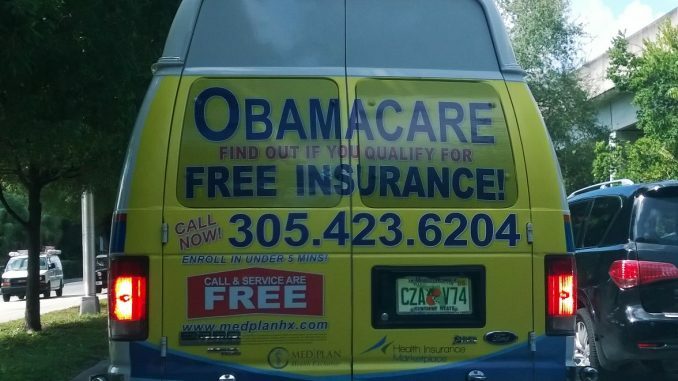 I suspect a public insurance company with an explicit goal of exploiting the system could go even further. Including in the plan every single provider in the country, fully reimbursed at their absurd list price without any negotiated discount, could cause the SLCSP be $1,000 a month or more expensive than the normal Silver plan. Set the actuarial value of the Silver plans as close to 72 percent as possible to further maximize subsidies. California wisely already does this. Automatically enroll everyone who qualifies for tax credits into free coverage and make them keep it. This strategy should more than double the amount of federal affordability subsidies going to a state each year, hundreds of millions or billions depending on the size of the state. It would make basically everyone in the state under the 200% FPL eligible for a free enhanced Silver plan, which they should be selecting to get the cost-sharing reduction. Everyone making 200% to roughly 300% FPL would qualify for a free Gold plan, and everyone from 300-400% FPL would qualify for at least a free Bronze or potentially a free Gold (if the super-expensive Silver Plan can be pushed high enough). People making over 400% FPL would still not get subsidies, but making coverage free for basically all lower income people and automatically signing them up should significantly reduce the premiums for the unsubsidized population. Undoubtedly if this plan were tried, it would face lawsuits and opposition from health insurers and the Trump administration, but there is likely not much they can do if mechanisms to drive out all private insurers and drive up the price of the super-expensive Silver plan are carefully crafted. Nothing in this plan depends on requesting federal waivers. It made sense that blue states tried to make the ACA exchanges work like intended when they had a federal partner. But if this administration doesn’t care about making the law work as designed, neither should states. The question is, are any states willing to stop trying to make the ACA work as designed and instead exploit the ACA to best help their people?